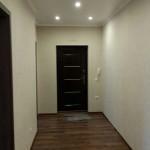 The company «Evroremont» is pleased to offer its services in soundproofing of premises. 2 The reason why the apartment is soundproofed can be several: noisy neighbors, you are noisy neighbors and do not want to disturb others (less common option), street noise, etc. Sanitary standards state that there will be silence in the room if the noise level does not exceed 30 decibels. This applies to penetrating street sounds, noise from neighbors and from the entrance, and, of course, the noise issued by people and animals living in the apartment. If a person can successfully fight with his own noise, then it is usually not possible to influence the traffic noise outside the window or to interrupt a party at his neighbors at the set time. What should I do to make my stay comfortable and quiet? The reasons for making sound insulation of the apartment can be several: noisy neighbors, you are noisy neighbors and do not want to disturb others (less common option), street noise, etc. Entrance doors. It is better to make them double, where the first door performs protective functions, and the second, lighter, is clogged with soundproofing material. An additional level of soundproofing the apartment will provide and a tambour between the doors. Window. Replacement of a double-glazed window on three-layer or more perfectly protects from noise from street. Slots in the ceilings. This is one of the most problematic places in housing, built in the 70-80’s. It is necessary to seal all joints of horizontal and vertical overlaps and docking seams between their elements. The best way to soundproof the apartment with your own hands is a vibration-proof sealant. It not only clogs the seams, but also has excellent noise-damping properties. Ceiling. Also, one of the weaknesses, if on the top floor are noisy neighbors. Increase noise absorption will help create a two-level ceiling design, where the first layer will be sound insulation with basalt wool, and the second level will be made of plasterboard. Walls. By analogy with the ceiling, you can also soundproof the walls in the apartment. It should be borne in mind that in many panel houses, the weakest point in the wall, from where the noise penetrates, are the sockets and switches. They can be performed symmetrically in you and the neighbors, located in one technological hole. In this case, the sound insulation of the sockets is achieved by installing a soundproof membrane between the neighbor and the own point of the electric fence. Floors. Floating screed — the best option, when an effective sound insulation of the apartment. Materials for its arrangement are available at a price, and with the proper level of qualification, you can perform it yourself. Engineering Communication. Passing through pipes, shafts and ducts are the main sources of noise penetration. They can be isolated with the help of elastic materials and a vibration isolating sealant. All these activities can be carried out separately, but then it should be understood that the effect from them can be partial and leveled by noise from uninsulated surfaces. Sound insulation in the house, apartment, office is made due to the creation of a multi-layer construction using different in structure and density of materials. Some materials are necessary for soundproofing, others are for sound absorption. 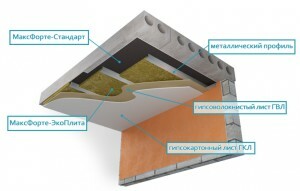 The design is installed on the walls and prevents penetration of impact and air noise. The better the audibility in the apartment, the more complex and multi-layered this design will be. It makes sense to entrust the procedure for noise insulation of walls in the apartment to specialists who possess the necessary equipment, understand modern soundproofing materials, and possess professional technological knowledge. Sound insulation, first of all, begins with the elimination of wall defects. Such wall defects can include various cracks and cracks on their surface, which could, in particular, form when shrinking the house. Sound insulation requires filling these cracks with a special soundproofing material, sealants. Also to ensure noise insulation it is important to inspect the sockets, which often represent through holes directly into the apartment to neighbors. 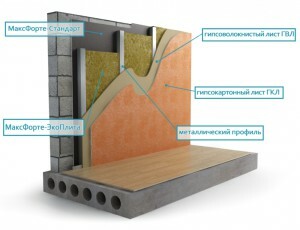 After the above-mentioned shortcomings concerning the soundproofing of walls will be eliminated, it is possible to proceed to the arrangement of special sound-insulating structures. Sound insulation is largely dependent on the thickness of the wall, as well as on the material from which it is built. Sound insulation results in a certain increase in the thickness of the walls, and accordingly, a slight decrease in the usable area of ​​the space. However, today noise insulation of walls in an apartment is carried out with the help of very thin and at the same time effective materials, as, for example, Texaund. Thanks to such innovative developments, soundproofing has reached a new peak in its development, thereby making it possible to make thin and at the same time very effective designs). To make an order for soundproofing of walls in an apartment it is possible on contact telephone numbers of the company Evroremont. 34 queries in 1,512 seconds.